Sometimes you don't know exactly where an important file was uploaded, or perhaps you're hunting for that conversation you know you had with your client last month (it's in here somewhere!). 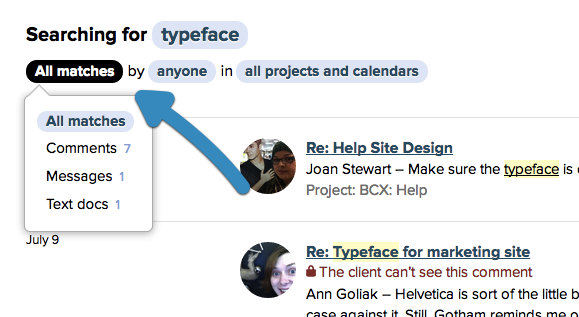 You can search through messages, to-do items, and comments across your entire account to find what you need. Type your search into the Jump Bar, then click to search (or hit Enter). 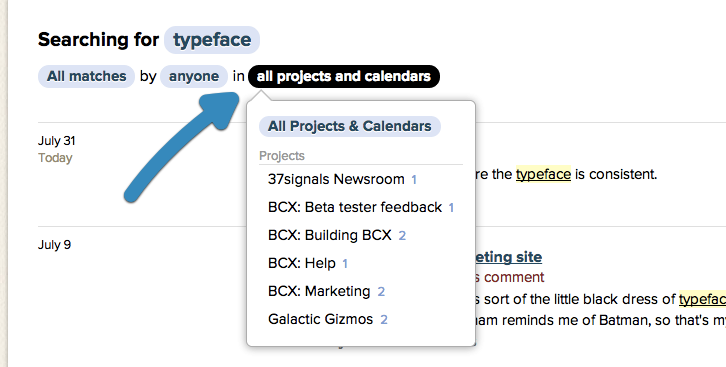 Basecamp will show you the results from across your entire account for that search string. They're listed chronologically - newest first. To search for a specific phrase, put it in quotation marks. It will take about 10 minutes for a newly added item to be indexed in your account. Basecamp will index file names, but not the content of your files. One of the quickest ways to get to a particular project is to use the Jump Bar. 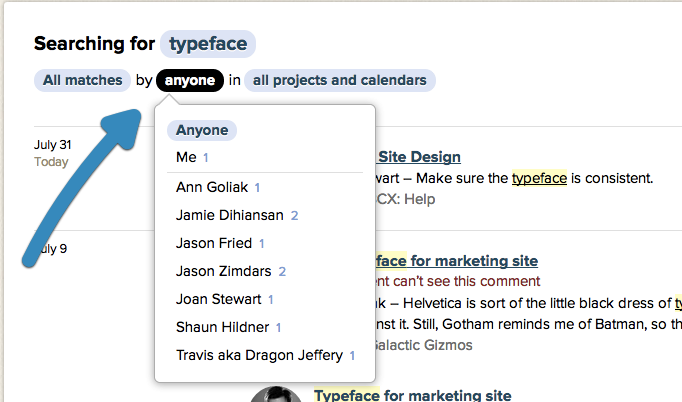 Type in part of the name of your project, and you'll see a list of possible matches to jump to. If you spot a match, click to jump there. Type in the name of a person, and jump straight to their page ... ... Perfect for checking what someone has on their plate before you assign them that urgent task! For labels, the same applies. Type the name of the label, and jump to see all files with that label.